Cuatro Villas in Akoya Oxygen – Spacious 4 bedroom villas – Cuatro Villas in Akoya Oxygen are 4 bedroom villas will be available for booking open on 2 September 2016 with an offering of a special discount and payment plans . 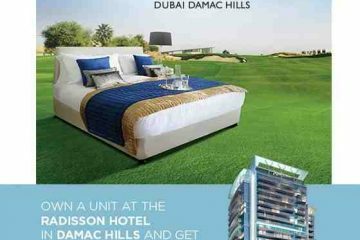 Bookings will be based on a first come first serve and a token of AED 20,000 minimum per unit. The villa sizes start from 2,400 sq.ft. 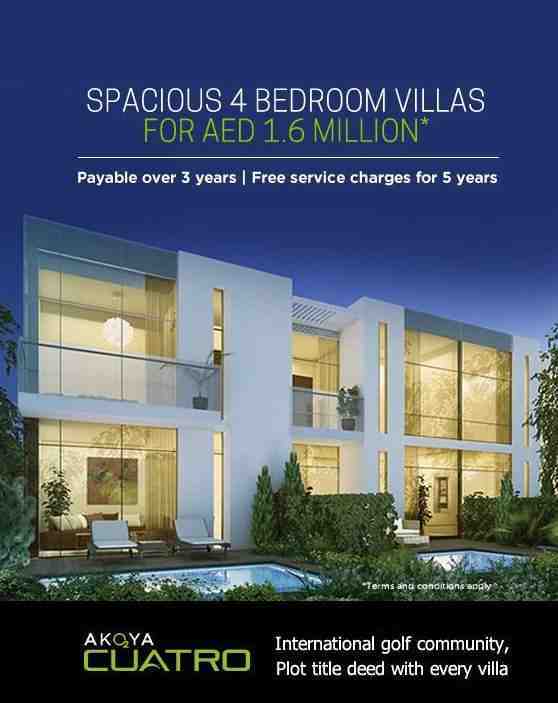 Starting price for a Residential villa is AED 1.55 million without 5 years free service and AED1.6 million. 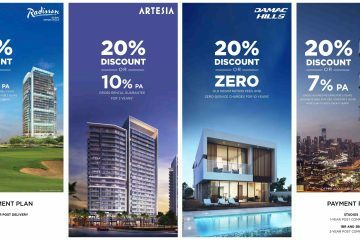 PLOTS @ AKOYA OXYGEN BY DAMAC - Dubai Bypass Road, Al Qudra Road .